Have you heard of Force Friday? Force Friday is a celebration of Star Wars at selected Best Buy stores. Force Friday starts September 1 and you can now unlock characters from Star Wars: The Last Jedi using the Star Wars app, plus experience demos in select stores. 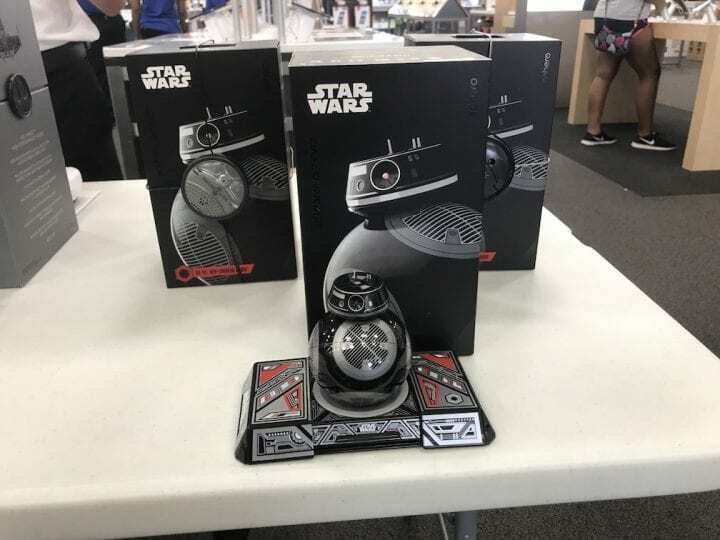 Star Wars Force Friday II at Best Buy #ForceFriday lets you experience exclusive product demos and check out first hand some super cool Star Wars merchandise like Sphero’s new R2D2 and BB-8 Droid, and Propel’s Star Wars drones. Download the app to get prepared today and start shopping at BestBuy.com. Star Wars fans unite because Best Buy has got you covered with the latest in cool gadgets to thrill even the most diehard fan. Let's face it, Best Buy has hit a home run when it comes to must have Star Wars memorabilia. 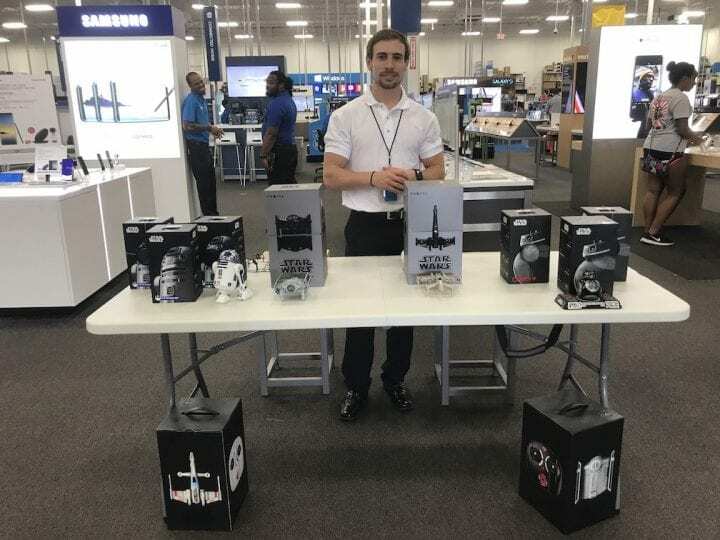 This weekend we had such a fun time at Best Buy for Force Friday II Weekend. The droids were super easy to use and fun to play with. My daughter loved the authentic movie sounding noises from the drones and droids. Any or all of these will make great gifts. R2-D2™ is an astromech droid from a galaxy far, far away in this Sphero – R2-D2™ App-Enabled Droid™ – White/Blue…. Control your droid with your smart device or keep Artoo in top shape with augmented reality training. Artoo’s signature front and rear LED lights are fully functional, and an integrated speaker means the beeps and boops come right from R2-D2 itself. Watch Artoo interact with other Star Wars™ App-enabled Droids by Sphero, and view films from the Star Wars saga with R2-D2 reacting by your side. This iconic droid has been brought to life like never before. The Sphero – BB-9E App-Enabled Droid is a menacing astromech droid of the First Order. Control it with your smart device and keep it rolling optimally with the augmented reality Droid Trainer. 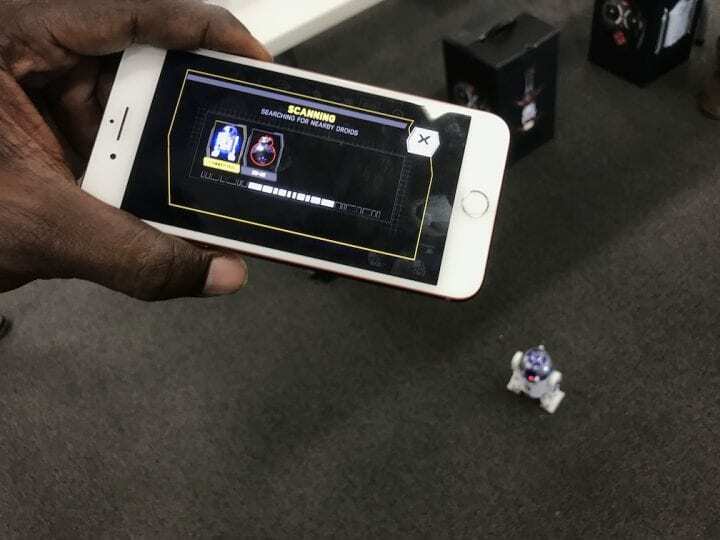 Watch BB-9E interact with other Star Wars™ App-enabled Droids by Sphero, and view films from the Star Wars saga with BB-9E by your side. This is not the droid you’re looking for… it’s the droid that’s looking for you. 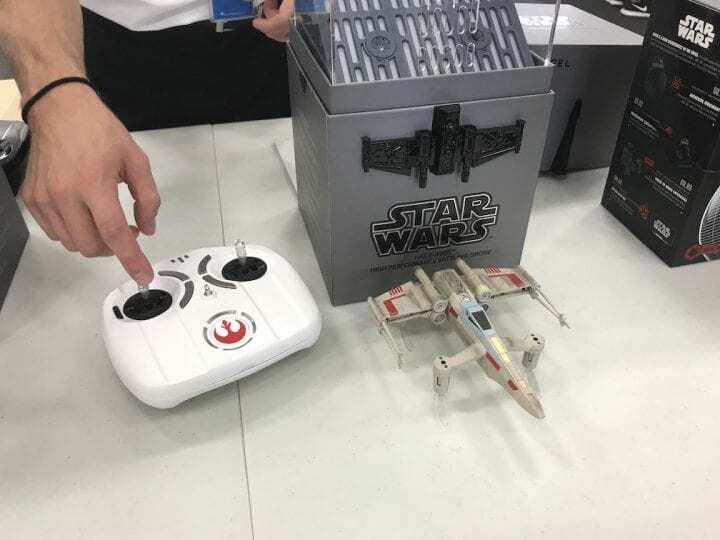 Explore the Imperial galaxy with this deluxe edition Star Wars X-Wing quadcopter, the Propel – T-65 X-Wing Starfighter Quadrocopter with Remote Controller – White. The remote fighter reaches speeds of up to 35 mph for increased excitement, and you can easily maneuver loops and stunts to impress friends. 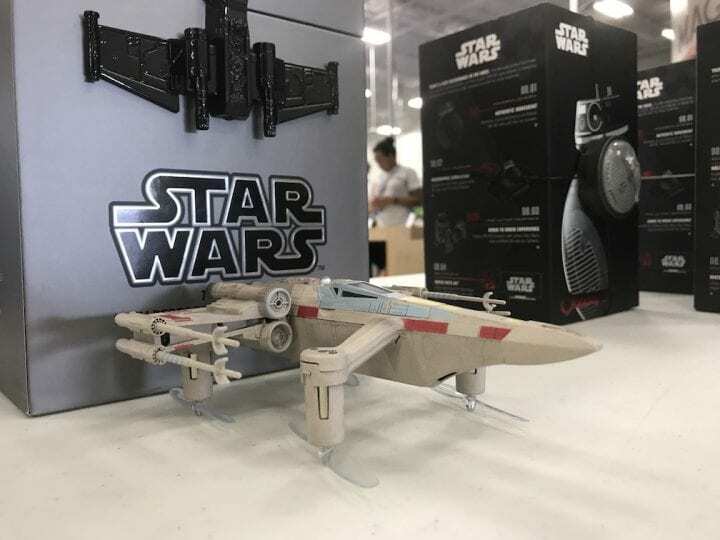 This Star Wars X-wing quadcopter includes a real physics flight simulator that teaches you how to fly the device. 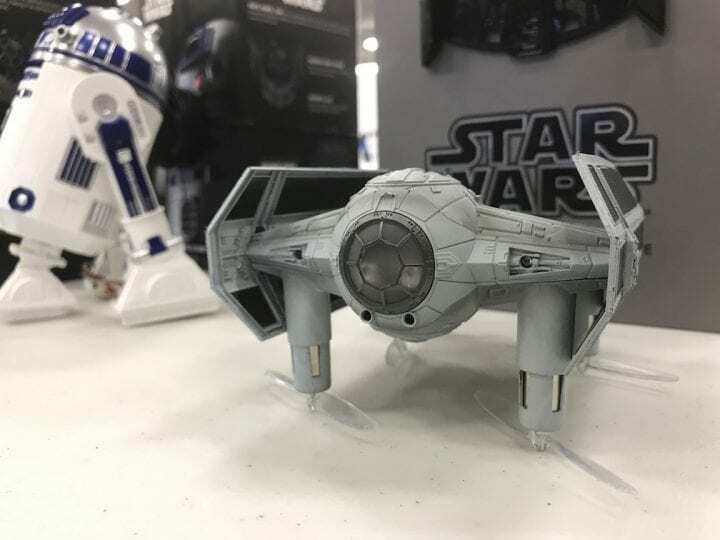 Protect the galaxy – or just the playroom – with this handcrafted Star Wars TIE Advanced battling quadcopter, the Propel – TIE Advanced X1 Quadrocopter with Remote Controller – Gray. A battery-powered Empire controller lets you catapult this device through the air at speeds of up to 35 mph. Integrated LED lights make it easy to identify this Star Wars TIE Advanced battling quadcopter during flight. What are the laws for flying drones? Fly Responsibly. As of December 21, 2015, the FAA requires unmanned aircraft weighing more than 0.55 pounds (250 grams) on takeoff (including everything on board or attached), and operated outdoors, be registered at www.faa.gov/uas. Additional state or local requirements may apply. Check your local jurisdiction. The following websites may help you make informed decisions about how regulations impact you: www.knowbeforeyoufly.org and www.modelaircraft.org. Awwwww yeah. 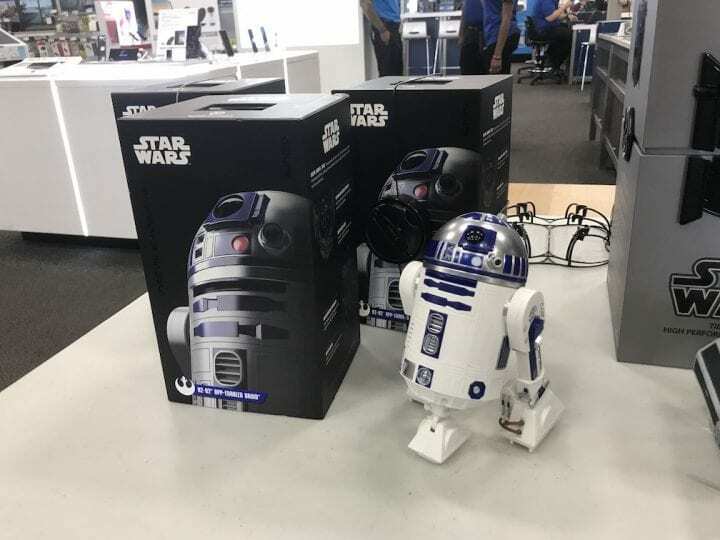 The Force is strong with Best Buy. Those drones are freaking amazing. I would love to get a different one for each of the kids and just fill our backyard with Star Wars awesomeness. Oh very cool! I didn’t know about this. This will definitely be a good time for Star Wars fans to stop in! I’m loving the cool toys! What a fun day!! I can’t wait to check them out! OH wow! Seeing these would make any Star Wars fan ecstatic! I think it’s awesome that Best Buy is featuring all of these droids! Sounds like a fun day! 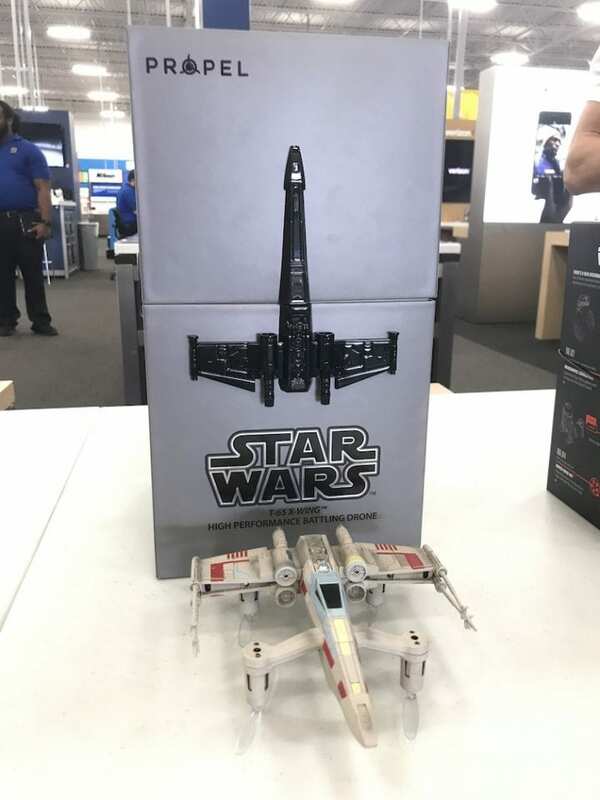 We are so excited for the upcoming Star Wars movie and lucked up on an opportunity to try the drones and droids during Force Friday at our local Best Buy a couple of weekends ago. Looks like you had fun trying out the new “toys” as well. We are Star Wars fans and didn’t even hear about Force Friday until after it was already over. I’ll have to make sure and keep up with it for next year. These items are so cool, and I would have loved to have seen them in action in person. My husband and I would love this event! 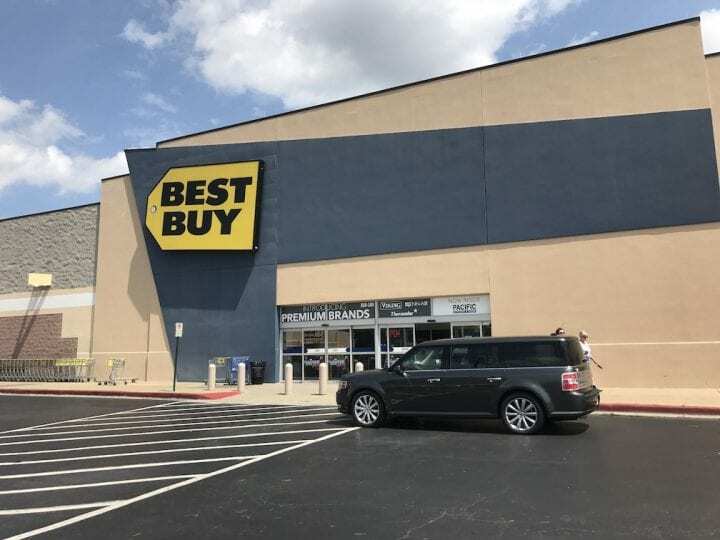 We can make it a “date night” and head over to our Best Buy – check out some of the cool new products and maybe bring some home! What fun!! Will download the app now! When I heard about this, ecstatic! Loving all of the really fun Star Wars products being showcased at Best Buy! I need to go to Best Buy for Force Friday. We are huge Star Wars fans. I have the R2D2 already. What an awesome Friday that’s well spent! I think these droids and drones are worth checking out especially if you’re a huge fan! I love the choices! It’s really awesome! Oh my goodness! How fun is all that?! I’m not really into Star Wars, but even I would love playing with all those goodies! I love everything about this event!! 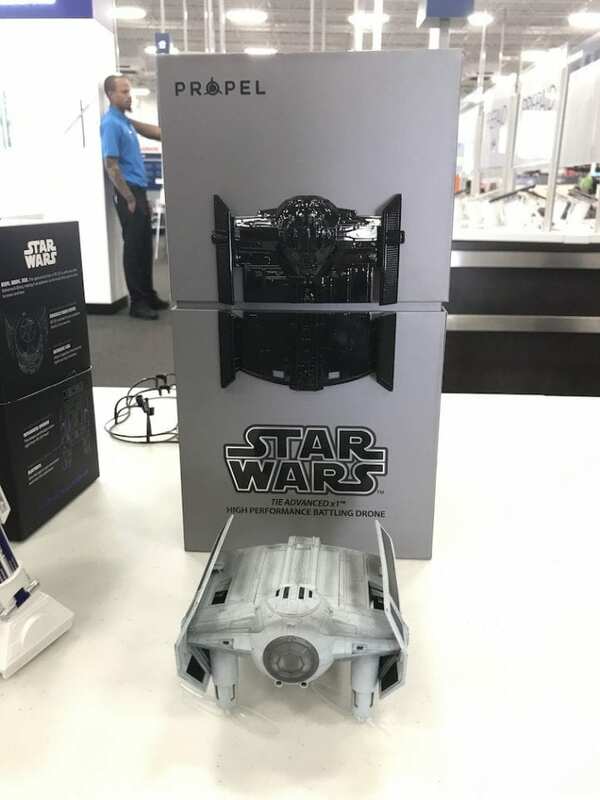 I need to head to my local Best Buy and check out all of these Star Wars goodies!! I’ve never heard of Force Friday. I need to check out these cute droids. We love Star Wars and my kids would surely love to have them in their collection. I just went to Best Buy over the weekend. I actually saw some of these as well. They were so neat! I would have loved to have R2 D2. My husband and my son would absolutely love this. I did not know they were doing this over the weekend or I would’ve stopped by myself. 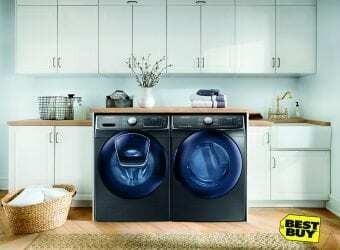 Looks like they did a very good job with this campaign. These are so cool! Great items to start thinking about for the boys and men in our lives! Oh, my son would be so jealous. He love Star Wars and I’m sure he would have a blast on this event. I had no idea about this. I have several family members who will be very interested in learning about this. Being a Star Wars fan, I loved the SPHERO – R2-D2 APP-ENABLED DROID! I wasn’t aware that Best Buy has a lot of neat Star Wars gadgets. Awesome stuff! I am not a huge Star Wars fan but these are fun toys for someone who loves Star Wars. 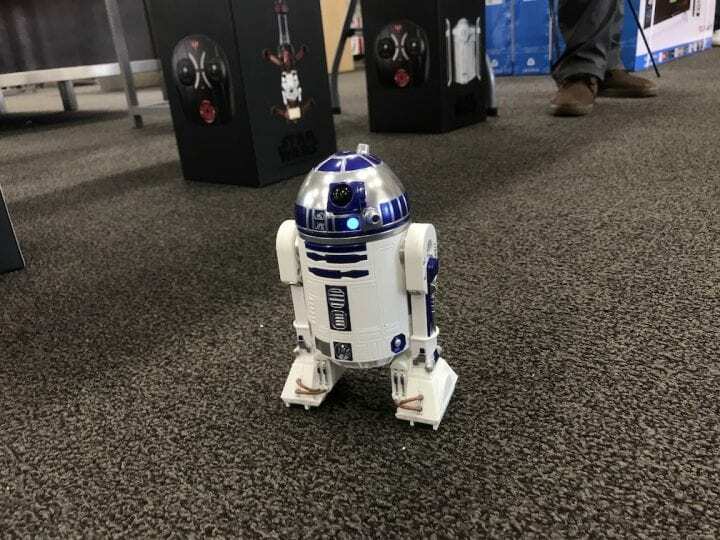 The small R2D2 bot is super cute. So obviously I need to clear my schedule and get to Best Buy! We’re HUGE Star Wars fans in our house. 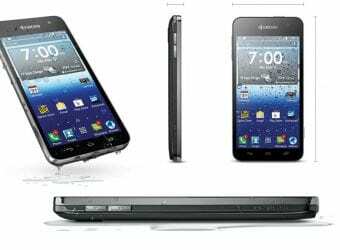 Best Buy always ends up hitting home runs when it comes to anything geeky! I am loving that they have so many Star Wars options! How awesome!!! I love the R2D2! My kids would freak! Looks like I will have to make a visit to Best Buy. My son is obsessed with all things Star Wars. My family is BIGTIME into Star Wars so this looks like an amazingly fun time to me. My son definitely needs that R2-D2! This is so cool! My daughter is a huge Star Wars fan. She would flip to attend an event like this! Our kids love star wars… I see lots of great birthday and Christmas gift ideas in your post. Thank you! My son is so into Star Wars! I have a feeling some of these are going to be on his Christmas Wish list! My son is a big Star Wars fan. We’ve been checking these out. We got him the BB8 Spero last year. Wow such neat toys and gadgets. My brother is a huge Star Wars fan so I think I’ll add a few of these to my Christmas list.